Do you always miss a set of gamecards at the party? 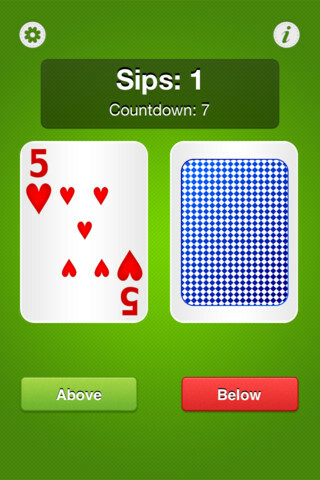 Now you can play Above or Below (Higher or Lower) on your iPhone, iPod or iPad. - Ace is the lowest and the highest is the king. - If 2 identical cards, guess again. - Can be passed on at least 3 correct guesses. 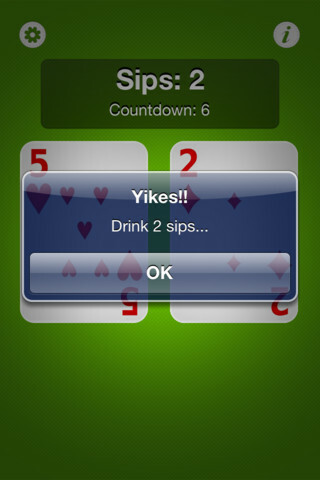 - At a wrong guess, drink the number of sips that are earned.